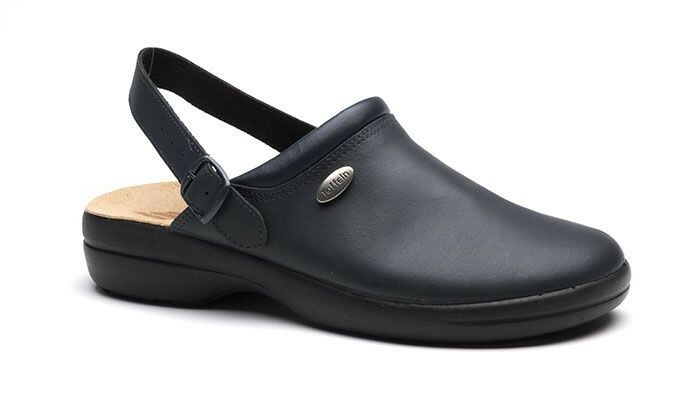 Comfort shoe with leather upper and adjustable heel strap. The FlexLite range has been designed to offer great value, comfort and flexibility. 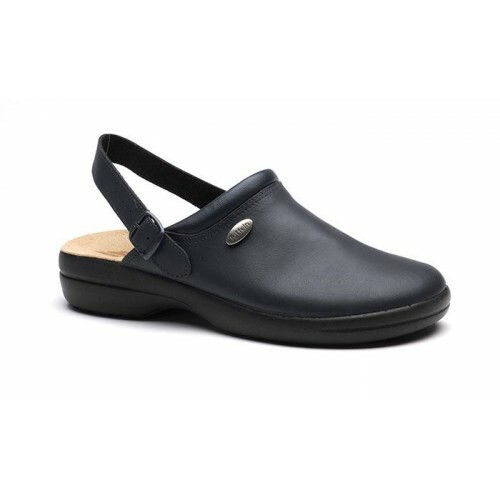 The leather uppers have a special polyurethane (PU) coating that resists fluid penetration. 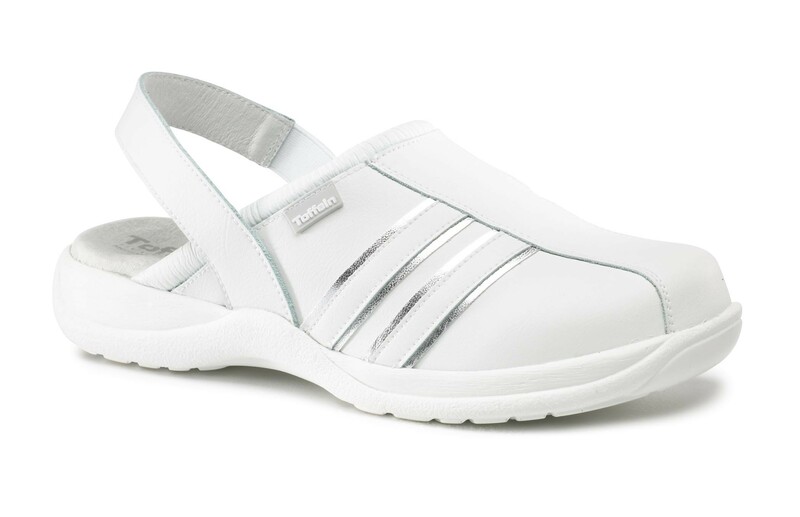 The adjustable heel strap design keeps your foot secure all day long. The flexible soles are antistatic to avoid dangerous workplace accidents.